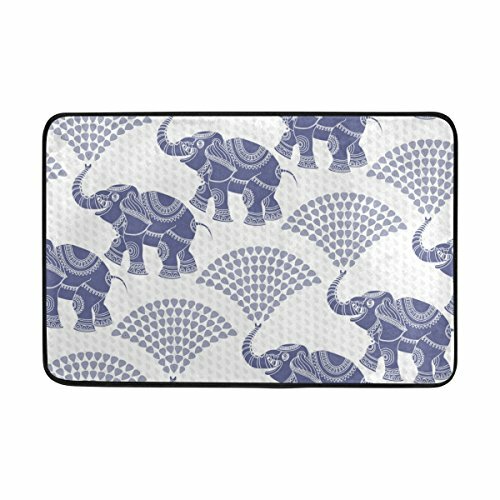 Vantaso Decorative Elephant Pattern Blue Soft Foam Door Mat for Children Non Skid Fun Area Rugs Kids Bedroom Playroom Nursery Decor 23.6 x 15.7 inch by Vantaso at Home Decor Outlet Store. MPN: dd002. Hurry! Limited time offer. Offer valid only while supplies last. Vantaso Door Mat features soft material and vivid colorful design will catch your children's attention, it is a good choice for family and kids!